GeoGarage blog: NOAA : How can we assist you? On November 16, 2018, NOAA released ASSIST, a new system for submitting questions and reporting nautical chart errors to NOAA’s Office of Coast Survey. ASSIST has a mobile-friendly design and improved user interface that allows customers to access the system conveniently from any device. 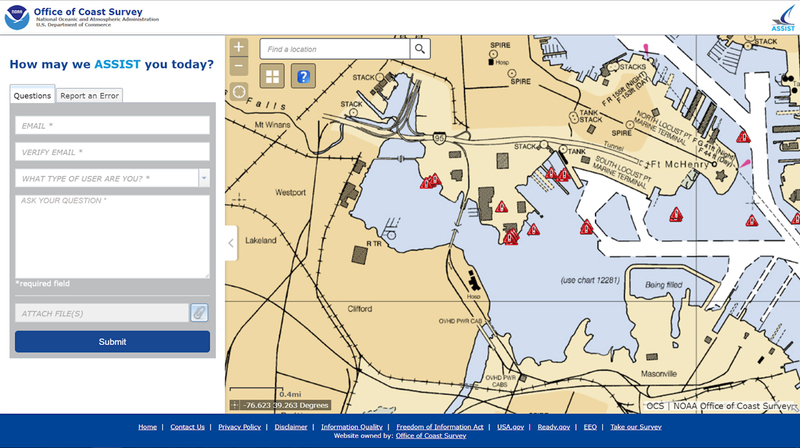 These improvements streamline the internal Coast Survey workflow, allowing faster, more efficient responses to customers.